Bee pollen is considered one of nature's most complete foods and can help correct diets that are nutrient deficient or imbalanced due to its comprehensive and balanced nutrient profile. It contains one of the richest known source of vitamins, minerals, amino acids, hormones, enzymes, and fats, as well as significant quantities of natural antibiotics. Since bee pollen can cause allergic reactions in sensitive people, please introduce it slowly if you choose to consume it. For more information on the healing benefits of bee pollen, visit the first source below. Goji berries, also known as wolfberries, are native to southeastern Europe and Asia and have been nicknamed "red diamonds" for their unusually high nutritional content. Traditional Chinese medicine was likely the first system to realize their potent healing qualities, but the West has caught on to this well-known "superfruit", and has started incorporating them into their diet. 18 amino acids, including all eight essential amino acids, making it a complete protein. Six essential Fatty Acids (EFAs). 21 trace minerals including calcium, copper, germanium, iron, magnesium, phosphorous, selenium and zinc. Vitamin A, B-complex, C, and E.
A superior form of a wide range of antioxidants, including zeaxanthin, SOD (superoxide dismutase), polysaccharides, germanium, and beta-carotene. Since the goji berry is part of the nightshade family, those, who deal with any type of inflammation, may want to avoid it. 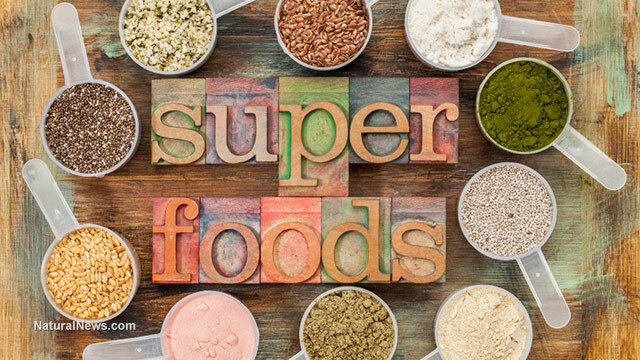 For a more comprehensive list of impressive and nutrient dense superfoods, visit 8 Superfoods That Can Heal Your Body and 8 Steps to Health.